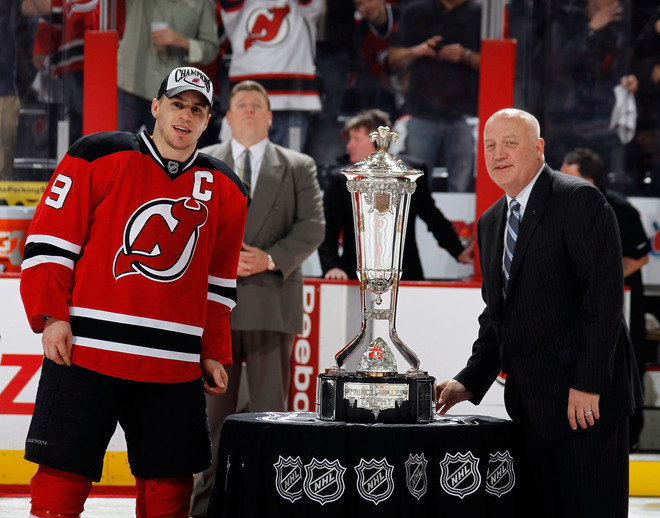 Game 1 of the Stanley Cup final begins tomorrow night with the Los Angeles Kings taking on the New Jersey Devils. Here’s a quick rundown of things to know going into the series. 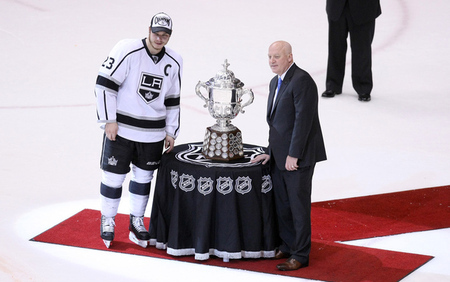 The Kings are only the second 8-seed to reach the Stanley Cup final; the other team was the Edmonton Oilers in 2006. L.A. is the first team to eliminate the #1, #2, and #3 seeds in order. L.A. has a 8-0 record on the road this playoffs. For this reason, New Jersey’s home-ice advantage may turn into a disadvantage. The Kings and Devils met twice during the regular season and the Devils won both meetings and back-up goalie Johan Hedburg picked up both victories for New Jersey. The first was a 2-1 overtime win on Oct. 13 in N.J. and the second a 3-0 win on Oct. 25 in L.A. The Kings have put together one of the best playoff runs in my short postseason memory and that’s why I’m picking them to win their first Stanley Cup in franchise history. I do think that the Devils will provide more of a challenge for L.A. and the series will go at least six games, but I think the Kings offense will be more than an aging Martin Brodeur can handle.